You spend hours trying to find a good airfare deal and get excited when you find an awesome deal! When you go to the site to book the ticket, you spend another half hour going through screen after screen of disclaimers and add-ons. (Five dollars for a soda, ten dollars for the option to choose a seat, twenty dollars for an aisle seat. If you want to take more than a pair of underwear, tack on extra fees for a carry-on bag.) Fee after fee gets piled onto your “great” ticket price. At the end of the last screen, your great deal is no longer reasonable. You become so frustrated that you start over, or you simply give up and just want to be done with it but you don’t realize you just agreed to add priority boarding. So to top it off, you have to go through the whole ordeal again! 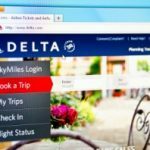 While airlines need to make money, as a savvy consumer, you should be aware of all the possible fees. Before booking a ticket, remember to add them to any fare you see. How can you avoid these fees, save money and still have a comfortable flight? Decide what your priorities are — Do you want the lowest fare or a very comfortable flight without spending any time planning for it? If it is the latter, either book your ticket with an airline that has everything included in the price (my favorite is Southwest with Business Select or with Early Bird check-in) or select all the options you want when you book the flight. This way you will know what your final price is going to be. 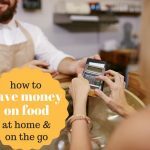 If you want to save money and don’t mind spending some time preparing, read on. Pack smarter to save money — To avoid the check-in baggage fee, people try to squeeze more into their cabin baggage and “personal item.” You don’t have to lug around all the heavy baggage. Shipping to your destination ahead of time might be more economical than checking your luggage, depending, of course, on the distance and weight. If you are shopping specifically for the trip, see if you can directly ship the item to your destination. A lot of hotels will hold the package for your arrival. If you really want to take all the items with you, you can try some smart packing tips — roll instead of fold, pack two to three shirts for each pant and pack smaller items inside larger items like shoes. If you want more packing tips, look at – Real Simple packing tips. 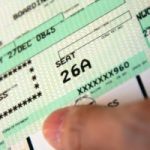 Get on board early without paying for it — Having an airline credit card still gets you ahead of the general boarding queue, so does being loyal to the same airline. If neither of those options are right for you and your main priority is to get on board early, try grabbing a seat that will put you in the desired boarding group. Each airline has their own boarding style: United Airlines boards window seats first, then middle and finally aisle; US Airways boards people who checked in online before boarding passengers who checked in at the airport; American boards from rear to front, and so do many others. It pays to know how the airline you are traveling on boards, which allows you, during the seat selection process, to pick one that suits your purpose. Here is a good guide on airline boarding: SeatGuru boarding procedure. Choose the right credit card — Reward credit cards come in three flavors — cash-back cards, co-branded cards (miles or points specific to a hotel or airline) or hybrid cards, which allow transferable points or miles or points redeemable for cash. If you are going to travel on a single airline most of the time, it might be better to get the co-branded airline card as it most likely comes with a lot of perks such as elite status, free checked bags and priority boarding. If you are not loyal to one airline but still want to get free tickets, go for one of the hybrid cards. Rack up points to upgrade — Most airlines will only allow miles flown to count for elite status versus miles accumulated via purchases or doing surveys. That doesn’t mean you should ignore other ways to rack up the miles. Sign up for their credit card when you see a good bonus offer, take their surveys, use the credit card for as many purchases as possible and shop online via the airline’s website. Use these miles to upgrade to business class, which will automatically give early boarding, higher carry-on luggage limits and many other perks. How do you plan to keep fees in check for your summer travel? What are your tips and tricks? A nice and informative post to share. Really it is very helpful for me as I travel twice every 3 months. Getting ticket prior hand is also not possible as I get immediate schedules for business meetings. Great post. It is crazy some of the fees that they come up with! More leg room fee, that’s called first class. Thanks for the post! It’s nice to see something with very thorough information. If you fly often, it would also be best to join a airline loyalty program. You get fees waived for up to 3 checked bags and you could potentially earn free perks like priority boarding for example. A neat trick I’ve been doing is (and this depends on the airline and applies if the bag qualifies to pass the gate) I do not check in my bags at the counter but rather bring em with me. If the flight is packed, typically they will offer a complimentary gate-checking!